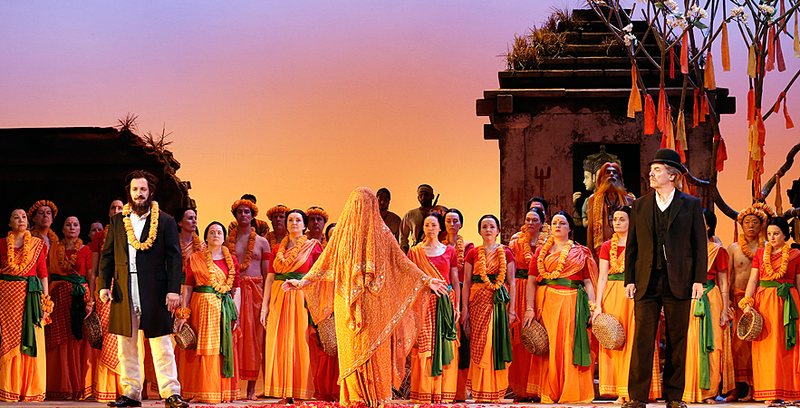 Experience the beauty and drama of opera for only $25 a ticket in Opera Queensland's exotic tale of jealousy and temptation in Bizet's The Pearlfishers for a limited season at QPAC from 25 May to 3 June 2017. The Pearlfishers story takes place during pearl diving season in colonial Ceylon where old friends Zurga and Nadir reminisce about Léïla, a woman they both loved and who re-enters their lives when racketeer Nourabad brings a beautiful priestess to bless the fishermen. OperaQ believes in access to the arts for all, and are proud to continue their offer of $25 tickets for new audiences for Bizet’s beloved classic, The Pearlfishers. More access means more Queenslanders can experience opera for just $25. For the first Queensland performance in 15 years, Opera Queensland presents The Pearlfishers, a tale of friendship broken by rivalry. Storyteller Michael Gow and designer Robert Kemp bring this romantic opera to life with vibrant scenes of Ceylon and a stunning score, complete with the world-famous duet, ‘Au fond du temple saint’. Step into an exotic world of forbidden romance with a cast led by Australia’s prima diva, Emma Matthews, tenor Aldo Di Toro, baritone Grant Doyle making his OperaQ debut and bass Andrew Collis. Find your $25 tickets for The Pearlfishers in Balcony 2 in the Lyric Theatre, QPAC.